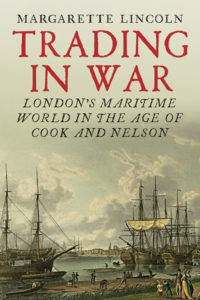 Margarette Lincoln Trading in War: London’s Maritime World in the Age of Cook and Nelson. 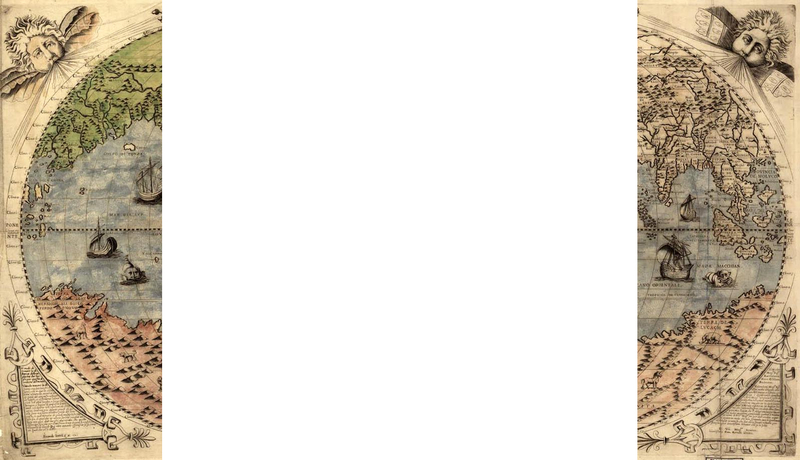 Yale University Press, 2018. 292 pp. In this book Margarette Lincoln discusses London’s maritime history in the latter decades of the 18thcentury, focusing on the communities north and south of the Thames River, east of the Tower of London. This is an evocative history of Wapping, Shadwell, Ratcliff and Limehouse, Southwark, Bermondsey, Rotherhithe, Deptford and Greenwich. The first chapter provides an overview and introduction to those communities. The second discusses how London as a global city provided opportunities and risks for its residents. Chapter 3 looks at the impact of the American Revolutionary War on maritime London. The three following chapters are thematic, looking at “Crime and Punishment”, “Spirited Women” and “Money and Pleasure”. The penultimate chapter discusses the French Revolutionary Wars, and their impact. The final chapter is titled ‘Grand Designs’ and addresses London’s explosive growth created substantial problems, and that resulted in plans to improve the port of London. To be honest, I found this book difficult to review. On one hand, it’s excellent. Margarette Lincoln is exactly the person who should be writing about this subject. The writing itself is precise, clear, and enjoyable. There’s a lovely mix of social history, along with financial history, economic history, military history, and administrative history. Lincoln effectively uses stories about Cook, Bligh and other famous individuals and balances them with stories of the many others who lived in these areas. There are 16 pages of stunning illustrations. The research is impeccable, shown clearly in the way that the author provides very specific details, whether it be locations, names, numbers, costs, or dates, and yet she never drowns the readers in figures and specifics. The archival work is extensive, as expected, and it’s an absolute delight to see how many women authors were named in the bibliography. One small criticism is that additional street maps, particularly around Deptford, would have been useful when trying to figure out how the individual places mentioned related to each other geographically. That’s relatively minor, and I’m sure that for those readers who are less familiar with these areas, they might not feel the need to try to make everything relate. On the other hand, as an academic, I found this book extremely frustrating. This book isn’t written for an academic audience. It is the platonic ideal of a good, rigorous history book written for non-academic audiences, especially since the author is writing from her own experience and her own research. However, much of the things that make a book ‘academic’ are not present. Less easily noticeable than the use of endnotes instead of footnotes is the way that the introduction and conclusion of this book have been reduced. The introduction is titled “Forgotten Histories”, and indeed NAM Rodger’s quote on the front cover refers to maritime London as “this lost world”. Despite this, the introduction doesn’t address exactly why or how this important history has been forgotten. The conclusion is titled “London against Napoleon” and continues the historical narrative beyond what had been covered in the previous chapters. It ends “no narrative of Britain in this half-century is complete without considering the history of maritime London”, and I feel like reducing the argument of this book to that is a missed opportunity. It should be possible to provide a real conclusion and some real arguments and ideas without scaring away the non-academic audience. This was an opportunity to acclimatize the public to reading books with a solid introduction, arguments and conclusion (if not footnotes), but it was missed. Overall, this book is highly, highly recommended. It should be read by everybody who is interested in London’s history, maritime history, port cities, and everybody who appreciates a job very well done.